Honestly, John’s NaNoWriMo project is worse than his email letters to his girlfriends. I do NOT have “tumbled locks of curling midnight”! Yes, I’ve almost caught up on my NaNoWriMo project (and no, there are no “tumbled locks of curling midnight,” although I actually did come across that phrase in Google Books not long ago). I’ll have MissSabre’s videos up tomorrow. Today I’d like to share the list of artists, writers, and video makers who left a trail to their works at the Sherlock Seattle Convention. Videos by Kestrel can be found at kestrelsempai.com. Sahraylia can be found at sahraylia.tumblr.com as well as ff.net and LiveJournal. 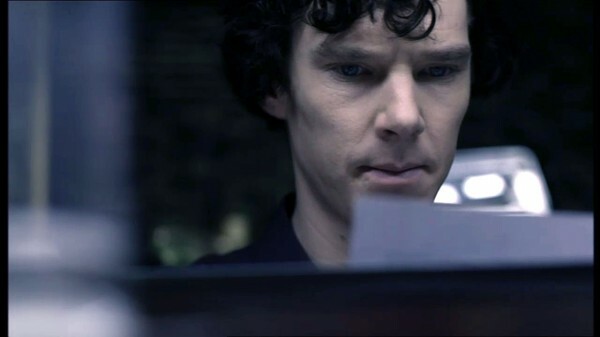 Check out sherlockspeare.tumblr.com and ixivii.tumblr.com. And the best Irene Adler (and best business card) was by far Lyra Ngalia, writer and RPer (Role Player) who can be found at lyrangalia @ Dreamwidth, WomanWhoBeatYou @ Deamwidth and lyricnonsense @ Livejournal. Jillian Venters of the Gothic Charm School can be found at Gothic-Charm-School.com. And look for emmagrant01 on Tumblr, LiveJournal and AO3 (http://archiveofourown.org ). The two lovely ladies from Pullman, WA who had the extremely popular pin and poster table can be found on Etsy. Check out pepperspins.etsy.com and unicornempireprints.etsy.com for all your fan button and fan print needs (including publicly hangable Johnlock). Thanks to the lovely folks at the Odyssey Bookshop (Port Angeles, WA) table, I was introduced to a terrific new book that I believe a lot of Sherlock fans will enjoy. Colin Fischer is a Young Adult (YA) novel about a 14-year old boy who suffers from Asperger’s Syndrome embarking on his first year of high school. What does this have to do with Sherlock? Well, there are definite Sherlock Holmes references in the book, like the poster of Basil Rathbone as the character in Colin’s bedroom, for starters. But there is also the character of Colin who, like Sherlock Holmes, notices things and make some rather amazingly accurate deductions that others find disconcerting. He also requires a “cheat sheet” of facial expressions labeled with the related emotion to discern what the faces of others are conveying about their emotional state. (“Not good. A bit not good.”) In this first book, in what will likely be a series, Colin deduces that the wrong person has been accused of bringing a gun to school that goes off during a scrum in the cafeteria and sets about to uncover the actual culprit. In the process, he makes an unlikely friend and begins taking major strides towards independence. He also has a brother (younger in this case) who resents the disruption Colin’s illness forces on the family and the special attention Colin receives from their parents. What none of this conveys is the strength of the writing and the clever way Colin’s growth is developed through the story. A potentially unlikeable character (and who does that remind us Sherlockian’s of?) becomes sympathetic and rather heroic as he pushes past his own fears and vulnerabilities to solve the “mystery” and aid the innocent (who isn’t exactly innocent and we realize will eventually be Colin’s Watson, not so much in chronicling his exploits as in watching his back). Thanks to Odyssey Bookshop, I’ll be doing a lot of catch-up reading of Sherlock Holmes pastiche and related titles. Let me know below if you’d like to see more reviews and suggestions for Sherlockian reading (I finished “The Art of Detection” during the Sherlock Seattle Convetion which is not a Mary Russell King title but definitely Sherlock Holmes related). 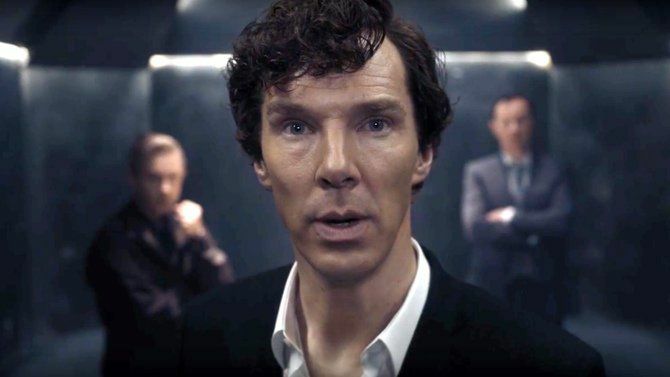 This entry was posted in Captions, Reading, Resources and tagged bbc sherlock, benedict cumberbatch, books, fandom, reviews on November 10, 2012 by JH Watson.